West Experiment Station, Courtesy Special Collections and University Archives of the W.E.B. Du Bois Library at UMass Amherst. 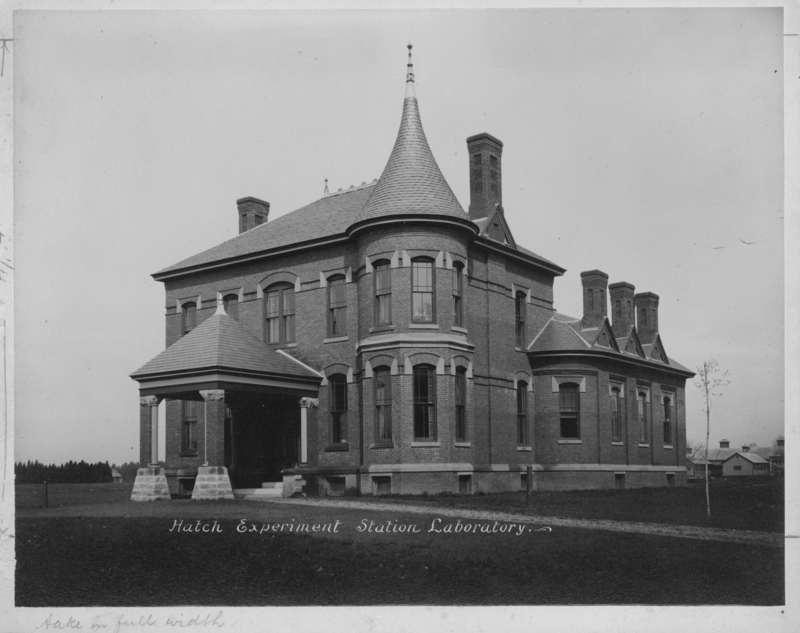 West Experiment Station, originally known as the Hatch Experiment Station Laboratory, was built along North Pleasant Street in 1886-1887. It was built for the Agricultural Experiment Station, the first such station associated with a state college in the U.S. The building was dismantled in 2015 and will be reconstructed as part of a new building for the departments of physics and chemistry.